HOWELL – A petition started in Bernards Township, located in Somerset County, has made its way into Howell Township to denounce the state’s affordable housing obligation laws. In light of recent township advances towards fulfilling Howell’s affordable housing obligation, residents have circulated the petition across social media, in the popular Howell Happenings NJ page. 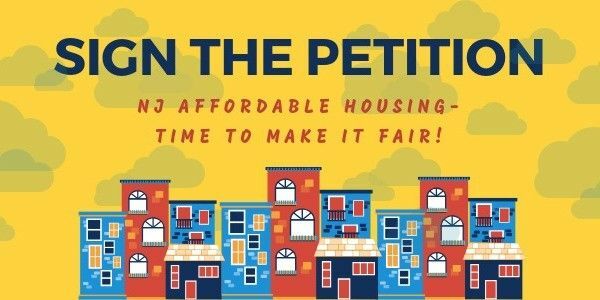 The petition, entitled New Jersey Affordable Housing – Time to Make it Fair, has gained 860 signatures of its 1,000 goal as of press time. The petition was created by Friends of STQP, which stands for Stop the Quarry Plan, a group that originated in Bernards Township. Should the petition receive its 1,000 signatures, the group plans to send it along to state legislators to make a stronger impact. In June, Howell Township passed a resolution that set the township’s obligation at 895 affordable housing credits. More recently, the township council passed five resolutions that could allow for the township to begin fulfilling its affordable housing obligation. At the Nov. 20 meeting, the council passed four resolutions which authorize developer’s agreements with Howell Family Apartments, LLC, Kenneth Zaback, Tyrpak Road Group, LLC and FP Howell LLC to construct affordable housing units. Township Attorney Joseph Clark confirmed this, and noted that the fifth resolution authorized an amended settlement agreement with the Fair Share Housing Center. Some of Howell’s newest council members, sworn in on Jan. 1, 2019, are outspoken in their stance against certain affordable housing measures. Councilwoman Pamela Richmond stated during her swearing in that she is against high density housing. The petition can be found at bit.ly/2TgFNXn. Next articleCelebrate OHI’s “Sweet 16” At The Annual Valentine’s Day Fundraiser!